Cyphoma gibbosum is a brightly colored sea snail. 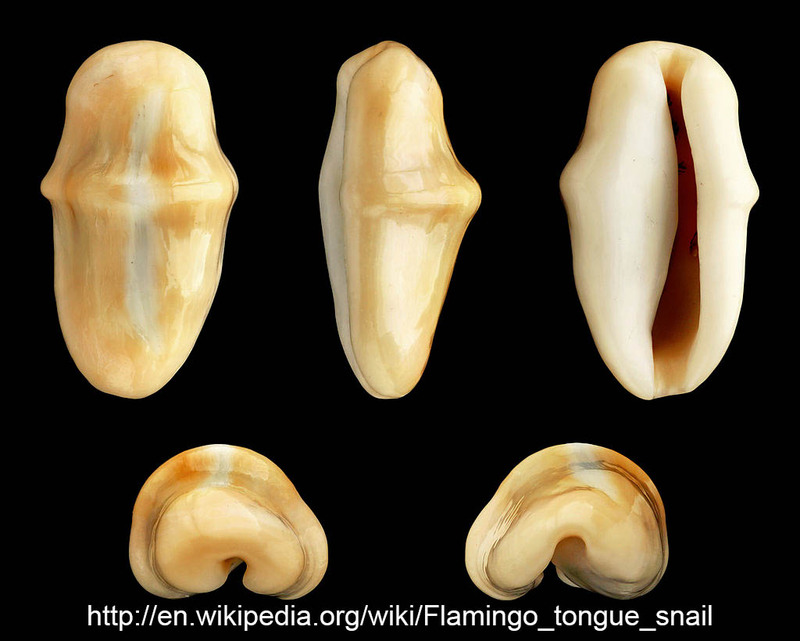 It has been given the common name flamingo tongue snail, although I can't imagine why. I don't think it looks anything like a flamingo's tongue.The interesting thing about this snail is that while it may look like it has a pretty shell, it actually has quite a boring plain white shell. The patterns are actually the color of the snails mantle which has grown over the shell. Its purpose is to provide a large surface area for the snail to absorb Oxygen from the water. 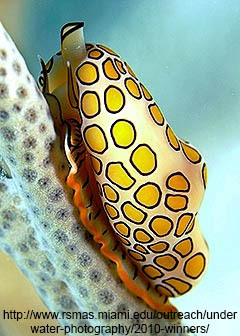 The flamingo tongue snail is known from the Caribbean sea and some coastal areas of Eastern South America.